A recent report released by Tyson Foods revealed Americans want greater transparency in their foods. According to Tyson's predictions, "39 percent of consumers say they are willing to switch brands that use more transparent labels. New technology is providing everyone, not just experts and professionals, with background information about their food. The concept of tracking food from farm to table, which first took hold with some smaller brands, will become a focus for big food in 2019. Despite this push for greater transparency, those who purchase North American Bison products may be unintentionally buying water buffalo. When Americans shop the meat case and read the term "buffalo," they are likely thinking of North American Bison; however importers of water buffalo products are "buffaloing" consumers into believing their products are bison," said Dave Carter, National Bison Association executive director. "If it's water buffalo, it needs to be labeled as such. Without that clear distinction, it is obviously misleading, which leads to greater customer confusion." The trouble started with one premium pet food label that said the product was made with bison and roasted venison. Turning over to read the ingredient panel, the ingredient list included buffalo and not bison as promoted on the front panel. "We started noticing other pet brands doing the same thing," Carter said. "This becomes a concern because one thing that has improved bison producers' stayability and profitability has been effectively marketing the entire carcass." This summer, Carter noticed that meat products at retail were encroaching on the bison industry's reputation by calling imported water buffalo products, "bison." "I saw a chain carrying a brick of wild, natural ground buffalo, and at a different chain, natural bison sirloin steaks and ground buffalo were sold side-by-side with very similar labels," Carter said. "For a consumer, it was hard to tell the difference, but the clear distinction is that North American bison products have a mark of inspection on them. The big issue then becomes when people try a water buffalo product, thinking it's bison, and they have a bad eating experience, it turns them away from our products forever." Most of this imported meat is coming from India, said Carter, which is home to 130 million domesticated and 40 million wild water buffalo. "We've always stayed on the sidelines of the country-of-origin-labeling debate because 99 percent of bison is produced in the U.S. and Canada," Carter said. "However, with Asian water buffalo being labeled as bison, we may have to change our tune on COOL because we clearly need to distinguish between North American bison and Asian water buffalo." Following a meeting where Carter presented this issue in Washington, D.C., a bipartisan group of five U.S. senators including Sens. John Hoeven, R-N.D., and John Thune, R-S.D., along with Democratic Sens. Michael Bennet, D-Colo., Heidi Heitkamp, D-N.D., and Tom Udall, D-Minn., sent a letter to the Food and Drug Administration Deputy Commissioner Stephen Ostroff and USDA Acting Under Secretary Carmen Rottenberg urging them to immediately halt the sale of imported water buffalo meat products labeled in a matter that leads consumers to believe they are buying North American bison. In the letter, the senators wrote, "Bison ranchers and marketers have worked diligently for more than two decades to build a strong market for bison meat. Their success was built on developing a relationship with the public based upon the great taste and high quality of bison meat. Because the term buffalo is widely used to describe bison, the failure to label water buffalo transparently and accurately could be misleading to the American consumer." They added, "We urge you to act promptly on this request for transparent labeling for all products containing water buffalo, cape buffalo or bison." In September, the NBA filed a formal complaint with the FDA and USDA regarding water buffalo from being marketed in a manner to deceive customers into believing they were buying bison meat. "Through more than 300 years of common usage, the term buffalo is widely associated with bison in the United States," Carter said. 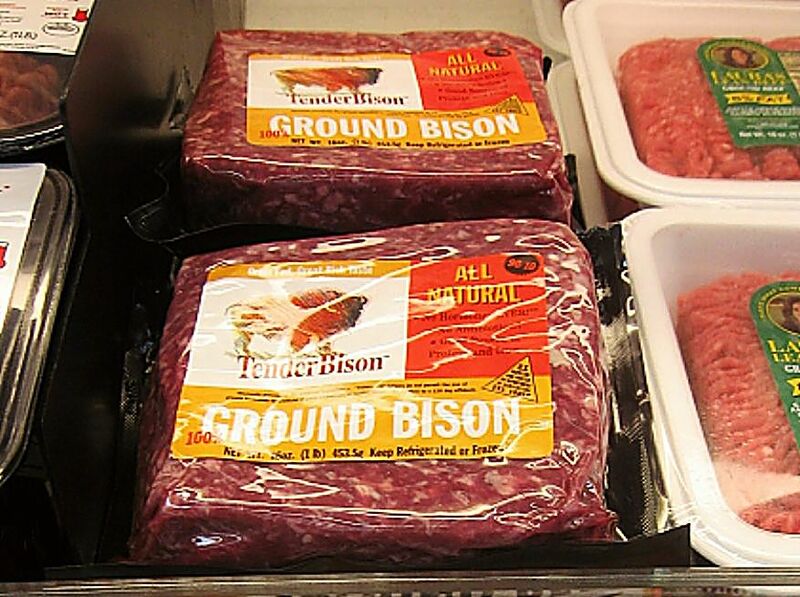 "The overwhelming majority of the people buying this product will believe they are purchasing bison. Bison and water buffalo are clearly different foods. Yet, the simple term buffalo is confusingly similar to bison." NBA is pushing to firm up regulatory oversight and enforce proper labeling for products made from imported water buffalo. "We are now working with key congressional offices to develop a proposed legislation that would require all nonamenable species products with annual gross sales over $5,000 to be required to be processed under FSIS Voluntary inspection or authorized state inspection," said Carter. "That language would cover all nonamenable species, including bison." He added, "We had hoped that report language could be developed and included either in the Agricultural Appropriations Bill, or in the 2018 farm bill, both of which are in conference committee negotiations. However, key senate staff members have advised that there is little support for any type of last-minute addition to those proposals." Carter added that for consumers wanting to ensure they are buying bison products — either in pet foods or for human consumption — look for the mark of inspection.